This toolbox contains material pertaining to large-scale interventions and small-scale site restoration in wilderness. In addition to the resources provided here, you may also be able to obtain advice and recommendations through discussion on Wilderness Connect. Date of last update: 12/26/17. This toolbox contains material pertaining to large-scale interventions and small-scale restoration in wilderness. Ecological interventions cover a broad range of actions that managers take, including what is called ecological restoration. Ecological interventions are actions that management staff implement that are large in scale and scope. These actions may be contentious because although they have the potential to improve the natural quality of wilderness character, they degrade the untrammeled quality of wilderness character. This toolbox contains agency-specific guidance on ecological interventions, as well as a tool for determining if a proposed intervention has addressed all the questions and issues to allow staff to more readily evaluate the proposed action in a Minimum Requirements Analysis. Material pertaining to site restoration is included under the Management Strategies and Guidelines folder. 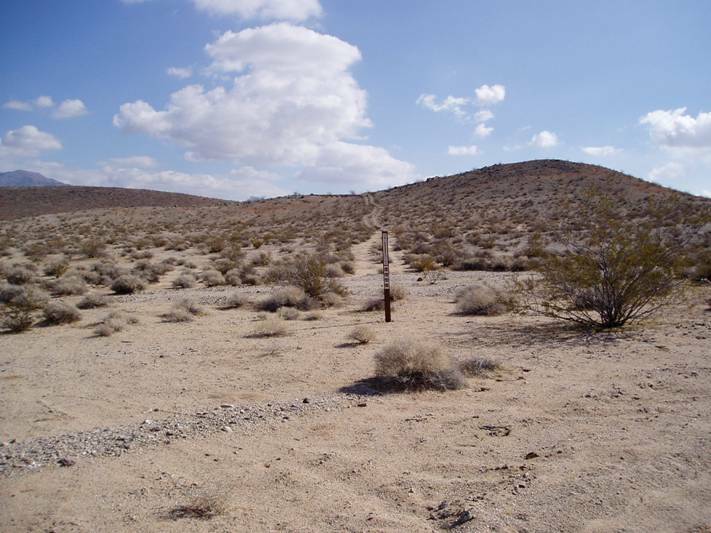 Small-scale restoration, as used here, refers to site-specific restoration projects such as restoring a campsite or section of trail or road. Under the Management Strategies and Guidelines folder, resources for site restoration are under the small-scale restoration folder and resources for large-scale interventions are under the large-scale intervention folder. Section 2. (a) states in part, "...and these shall be administered for the use and enjoyment of the American people in such manner as will leave them unimpaired for future use and enjoyment as wilderness, and so as to provide for the protection of these areas, the preservation of their wilderness character..."
Section 2. (c) "A wilderness, in contrast with those areas where man and his own works dominate the landscape, is hereby recognized as an area where the earth and its community of life are untrammeled by man, where man himself is a visitor who does not remain. An area of wilderness is further defined to mean in this Act an area of undeveloped Federal land retaining its primeval character and influence, without permanent improvements or human habitation, which is protected and managed so as to preserve its natural conditions and which (1) generally appears to have been affected primarily by the forces of nature, with the imprint of man's work substantially unnoticeable; (2) has outstanding opportunities for solitude or a primitive and unconfined type of recreation; (3) has at least five thousand acres of land or is of sufficient size as to make practicable its preservation and use in an unimpaired condition; and (4) may also contain ecological, geological, or other features of scientific, educational, scenic, or historical value."" The following acts may have direct bearing on the proposed intervention or site restoration and should be reviewed as appropriate. 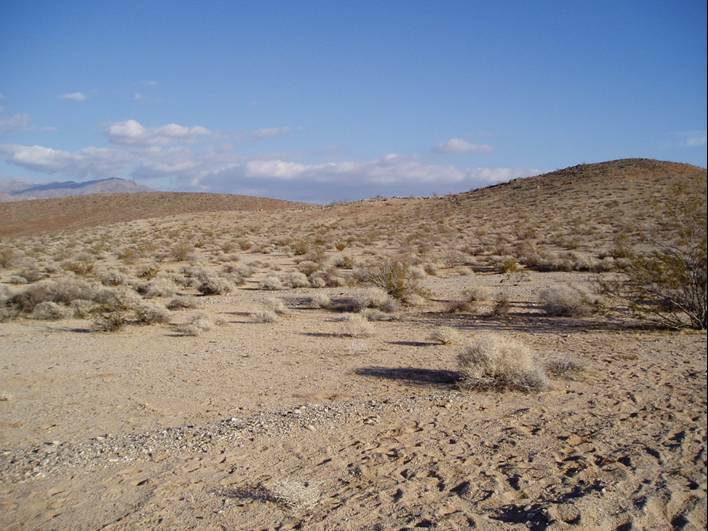 Each agency has wilderness policy and a variety of other policies that may have direct bearing on the proposed intervention or site restoration. In addition to the policy documents cited below, agency-specific natural resource management policy, cultural resource policy, and other policy and reference guidelines should be reviewed as appropriate. What constitutes appropriate conservation and restoration in wilderness? This section focuses on whether large-scale ecological interventions should be initiated, and if so, how, and how to conduct small-scale site restoration. Large scale interventions are defined as trammeling actions that are above a minimum threshold of scale and scope that are intended to manipulate or control earth and the community of life. For a further discussion on what is, and what is not a trammeling action, see Appendix 6 of Keeping It Wild 2. Resources in the large-scale intervention section include a supplemental tool to the MRDG to support staff reviewing proposals for ecological interventions in wilderness. Additional examples of plans and analyses from large-scale intervention actions are also included. 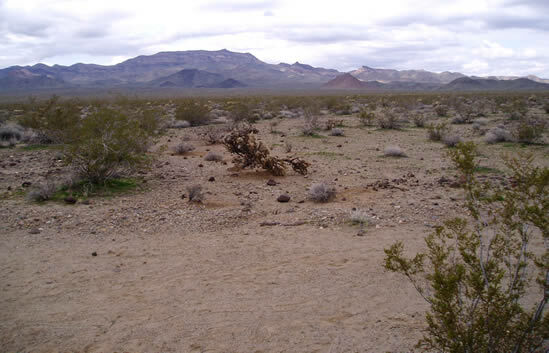 Small-scale restoration resources include manuals and guides on how to conduct effective vegetation and soil restoration, as well as examples of restoration projects conducted in desert environments. This supplement provides support to agency staff in completing an MRA or MRDG for proposals for ecological intervention in wilderness, including projects motivated by the preservation of cultural resources. This supplement is needed because ecological intervention in wilderness commonly entails complex legal, scientific, and ethical questions that may be beyond the realm of a typical MRA or MRDG. This supplement would be used early in the proposal evaluation process, prior to the MRA or MRDG, to ensure that the proposal contains all the information that would be needed to evaluate it. Used in this way, it may also identify issues that need to be clarified or resolved before moving forward with the MRA or MRDG and other required analyses. Proposals may be in various stages of review and evaluation under different administrative or legal processes, and this supplement may be similarly useful in these situations. Interagency (BIA, BLM, FWS, NPS) burned area rehabilitation guidebook: interpretation of Department of the Interior 620 DM 3 for the burned area rehabilitation of Federal and Tribal trust lands (Version 1.3). (2006). Restoration of the Pinon-Juniper Woodland at Bandelier National Monument. National Park Service. (2009). Therrell, Lisa; Cole, David; Claassen, Victor; Ryan, Chris; Davies, Mary Ann. 2006. Wilderness and Backcountry Site Restoration Guide. 0623 2815. Missoula, MT: U.S. Department of Agriculture, Forest Service, Missoula Technology and Development Center. 394 p.
Help practitioners develop plans that thoroughly address the question of whether site restoration is the best management action and, if so, develop a site-specific restoration plan that incorporates ecological concepts and addresses patterns of human use. Provide the latest information on site-specific restoration techniques, including site preparation, soil amendments, planting, mulching, and so forth. Explore the various methods of plant propagation both on and off a restoration site. Provide approaches for project monitoring and documentation. 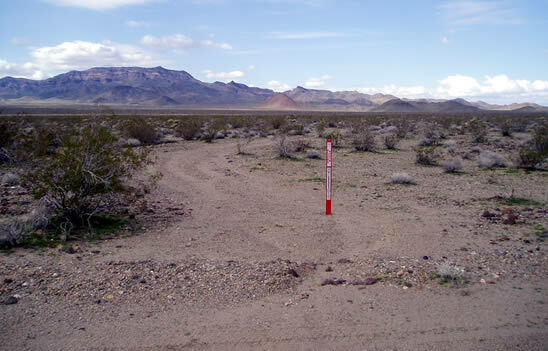 This folder contains guides, environmental assessment examples, monitoring sheets and visual references for conducting small site restoration in a desert setting. Techniques include vertical and horizontal mulching, pitting, ripping, hand barriers, rockwork, bermwork, and texturizing. A one page document on the steps that facilitate the development of a long-term program to supply and manage native plant materials for restoration and rehabilitation efforts on public lands. A one page document on the partnership with the Millennium Seed Bank Project to collect, conserve, and develop native plant materials for restoration. Cole, David N. 2013. Changing conditions on wilderness campsites: Seven case studies of trends over 13 to 32 years. Gen. Tech. Rep. RMRS-GTR-300. Fort Collins, CO: U.S. Department of Agriculture, Forest Service, Rocky Mountain Research Station. 99 p.
Cole, D. N. (2007). Seedling Establishment and Survival on Restored Campsites in Subalpine Forest. Restoration Ecology, 15(3):430-439. Cole, David N.; Spildie, David R. 2007. Vegetation and soil restoration on highly impacted campsites in the Eagle Cap Wilderness, Oregon. Gen. Tech. Rep. RMRS-GTR-18 5. Fort Collins, CO: U.S. Department of Agriculture, Forest Service, Rocky Mountain Research Station. 26 p.
Cole, D. N., & Spildie, D. R. (2006). Restoration of Plant Cover in Subalpine Forests Disturbed by Camping: Success of Transplanting. Natural Areas Journal, 26(2):168-178. Eagleston, H., & Marion, J. L. (2017). Sustainable campsite management in protected areas: A study of long-term ecological changes on campsites in the boundary waters canoe area wilderness, Minnesota, USA. Journal for Nature Conservation, 37:73–82. Flood, J. P. (1998). Reversing Degradation in the Mission Mountains Wilderness of the Rocky Mountain West. Student On-Line Journal (University of Minnesota), 3(1). Leung, Y.-F., Marion, J. L., & others. (2000). Recreation impacts and management in wilderness: A state-of-knowledge review. In Wilderness science in a time of change conference (Vol. 5, pp. 23-48). Scott, R. (1998). Wilderness management and restoration in high use areas of Olympic National Park, Washington, USA. In Personal, societal, and ecological values of wilderness: Sixth World Wilderness Congress Proceedings on research, management, and allocation (Vol. 1). These presentations were developed by staff at the Aldo Leopold Wilderness Research Institute for a variety of agency audiences including natural resource and administrative staff. Most include a basic introduction to the dilemma of intervening in wilderness, explaining the tension between the natural and untrammeled qualities of wilderness character. These case studies were developed by staff at the Aldo Leopold Wilderness Research Institute to demonstrate the complex process of making wilderness stewardship decisions related to ecological interventions in wilderness. Content for the case studies stems from direct interviews with wilderness staff, as well as NEPA documents and other project documents. Alpert, Peter. 2004. Managing the Wild: Should Stewards Be Pilots?. Frontiers in Ecology and the Environment 2(9):494-499. Appel, Peter A. 2015. Planning for Adaptation and Restoration in Wilderness. George Washington Journal of Energy & Environmental Law, 6:52. Biber E. & Esposito EL. 2016. Professional Article: The National Park Service Organic Act and Climate Change. Natural Resources Journal, 56:193-193. Callicott, J.Baird. 2002. Choosing Appropriate Temporal and Spatial Scales for Ecological Restoration. Journal of Biosciences, 27(4):409-420. Cole, David. 2001. Management Dilemmas That Will Shape Wilderness in the 21st Century. Journal of Forestry, 99(1):4. Graber, David M. 2003. 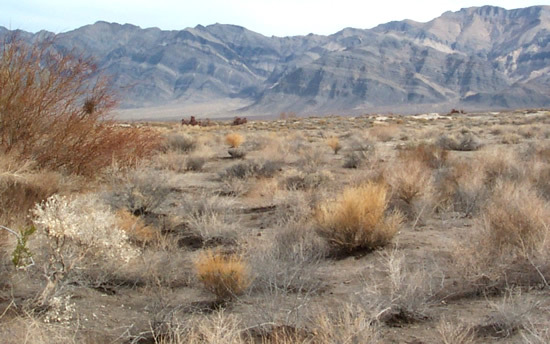 Ecological Restoration in Wilderness: Natural Versus Wild in National Park Service Wilderness. Pp. 34-41 in The George Wright Forum, vol. 20. Citeseer. Hobbs, Richard J. et al. 2009. Guiding Concepts for Park and Wilderness Stewardship in an Era of Global Environmental Change. Frontiers in Ecology and the Environment 8(9):483-90. Hobbs, Richard J. 2016. Degraded or Just Different? Perceptions and Value Judgements in Restoration Decisions. Restoration Ecology, 1-6. Kammer, Sean. 2013. 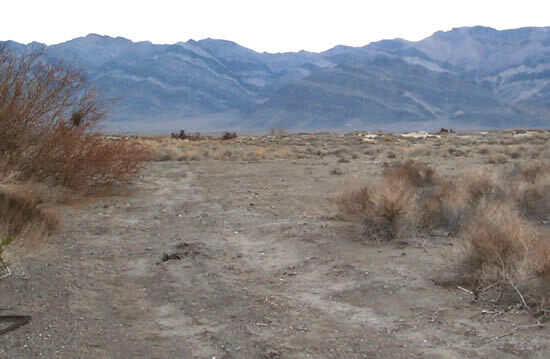 Coming to Terms with Wilderness: The Wilderness Act and the Problem of Wildlife Restoration. Environmental Law, 43:83. Landres, Peter. 2010. Let It Be: A Hands-off Approach to Preserving Wildness in Protected Areas. In Beyond Naturalness, edited by D. Cole and L. Yung. Washington, DC: Island Press. Landres, Peter, Mark W. Brunson, Linda Merigliano, Charisse Sydoriak, and Steve Morton. 2000. Naturalness and Wildness: The Dilemma and Irony of Managing Wilderness. Lieberman, Lucy. 2017. The balancing act: ecological interventions and decision tradeoffs to preserve wilderness character. Master's thesis. University of Montana, Missoula, MT. Long E. & Biber E. 2014. The Wilderness Act and climate change adaptation. Environmental Law, 44:658-694. Naficy, Cameron et al. 2016. Wilderness in the 21st Century: A Framework for Testing Assumptions about Ecological Intervention in Wilderness Using a Case Study of Fire Ecology in the Rocky Mountains. Journal of Forestry, 114(3):384-95. Nelson, Katherine. 2013. Responses to climate change in National Park Service Wilderness: What is happening in the field? Master's thesis. University of Montana, Missoula, MT. Soulé, Michael. 2001. Should Wilderness Be Managed? Pp. 136-52 in Return of the Wild, edited by Ted Kerasote. Washington, DC: Island Press. Stephenson, Nathan L. and Constance I. Millar. 2012. Climate Change: Wilderness' Great Challenge. Park Science, 28(3):7.